Fantasticsubmitted by Krista S. - Aug 25, 2017 |Recommended: YesI love living here The buildings are new and beautiful. The appliances are efficient. I love that every apartment has an outdoor patio area. The pool is saltwater, but is in he shade after around 4 5pm. The fitness center is clean and tidy. The staff are knowledgeable, friendly, and helpful. Parking is abundant. I rarely hear any of my surrounding neighbors. I feel safe living here, especially with the interior stairs leading up to my apartment and the locking call box system at the front door. Nice New Apartmentssubmitted by Dominique B. - Aug 14, 2017 |Recommended: YesOverall, the apartments are really nice and rather new. For the most part it's pretty quite area and is well maintained. The only complaint I have is that I wish we had assigned parking. Finding a good parking space near your apartment can be a challenge if you are unable to get home before 8 00pm. Carolynsubmitted by Carolyn M. - Jul 12, 2017 |Recommended: YesBeautifully landscaped property. The staff is always friendly and accommodating. The apartments are spacious and clean with top of the line appliances. Shopping centers are close by. So happy to call this place home. I'm happy with outside and inside conditions of the apartment,walls,floors and living space.submitted by Yvette I. - Jul 01, 2017 |Recommended: YesIts very quiet,well kept . Nice and spacious apartmentssubmitted by Samir B. - Jun 16, 2017 |Recommended: YesIt is new apartment and hence absolutely no maintenance issues, The staff is very good and the landscape is good for a nice walk, parties next to pool side. It's great living here.submitted by Andre C. - Mar 25, 2017 |Recommended: YesIt's great living here. We have loved our entire time here at Laurel Green. Nice Fixtures and Good Amenetiessubmitted by Alicia H. - Mar 01, 2017 |Recommended: YesI enjoy the upgraded fixtures in the apartment. It is also very energy efficient. The amenities are very nice and I use them daily. Everything is well maintained. Very nice submitted by Margarette C. - Nov 01, 2016 |Recommended: YesI am comfortable and feel safe. Parking can be an issue at times. Love it submitted by Mariann K. - Nov 01, 2016 |Recommended: YesI absolutely love it. 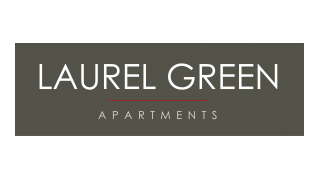 I love this apartment complex.submitted by Joseph D. - Oct 09, 2016 |Recommended: YesLiving at Laurel Green Apartments is amazing it really feels more at home and on vacation everyday and night. I wish i dont have to move out due to me and my wife that have jobs in North Jersey due to gas and tolls. but if anything happens later now the line that we have to move down south again i'll definitely will move back to Laurel Green Apartments again. Thank you for your services. Nice complex nice people great service.submitted by Sheila D. - Oct 04, 2016 |Recommended: YesQuality construction and maintenance. Responsive management and staff. Usually pretty quiet. Parking can sometimes be an issue, but they are proactively working on it. Above average.submitted by Cristina M. - Aug 29, 2016 |Recommended: YesMy family and I feel safe living here. The grounds and ammenities are well kept. The staff and maintinence are very helpful. My one-year-old getting enough sleep is an issue. Upstairs neighbors are up all night and very loud. The hardwood floors on the upper levels make it worse. If you have an infant, anything but the third floor is probably a bad idea.